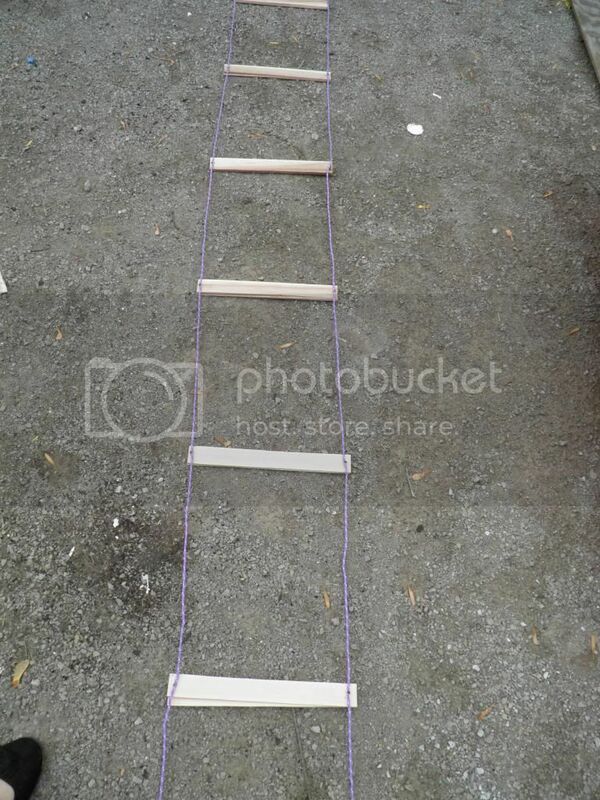 You can get all the supplies to make your own agility ladder at a regular hardware store, and it really only takes less than half an hour to make. 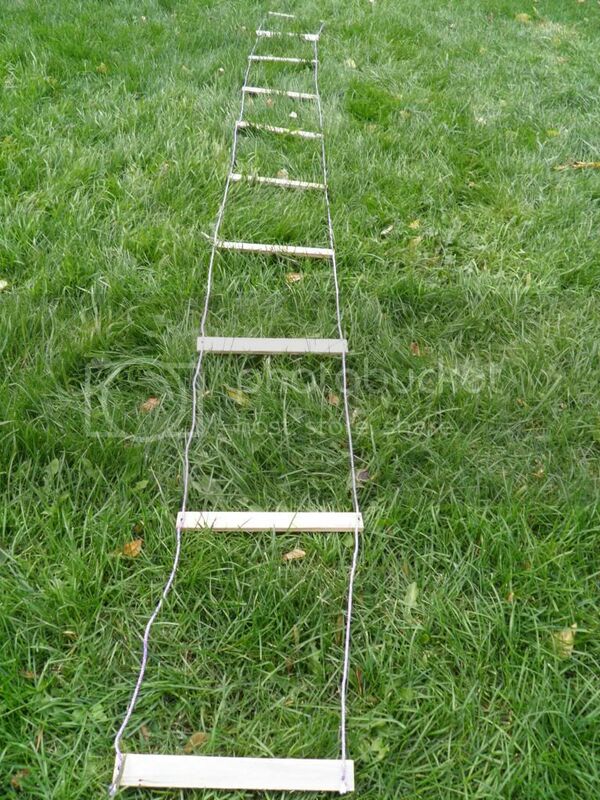 Agility ladders are an amazing unsung fitness tool that you're probably not using. I will be back to share some agility training drills soon too, so stay tuned for that. But these exercises shouldn't be saved for professional football players or high school track teams. Agility drills not only increase your agility, but they also provide a great source of cardio, especially if you're getting bored with your treadmill routine. You can get pretty creative with your fancy footwork, like sport dancing, and it also tests your mental acuity. We did some agility drills at the NASM workshop I attended and they were kind of fun and challenging and had me out of breath within a few minutes. 1. Stack two shims on top of each other with one narrow side and one thick side of each together. Nail the end of the rope into the top of the first shim stack. 2. Measure 15 inches to the next rung and hammer another nail into the top of that shim stack. 3. Continue until you have 15 rungs. Cut the rope at the end of the 15th rung. 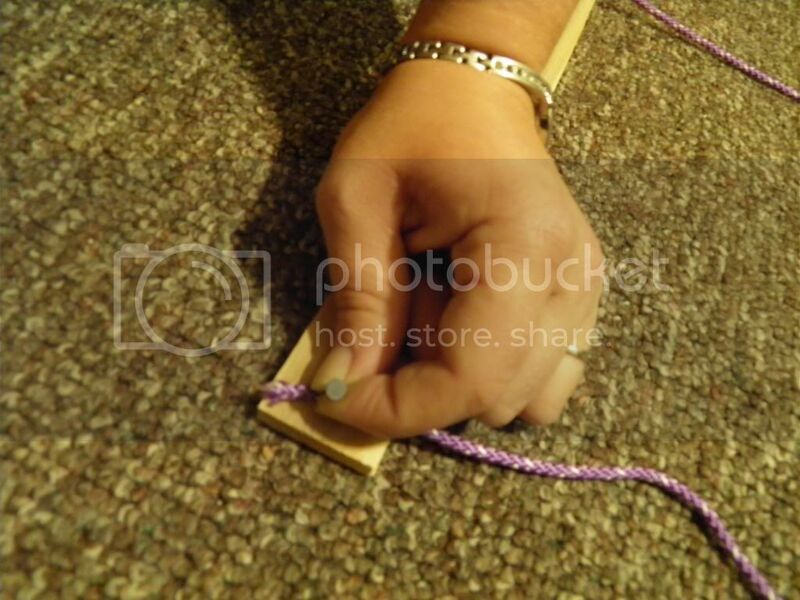 Now, go back and do the same thing on the other side of the ladder, hammering the string to the shims every 15 inches. 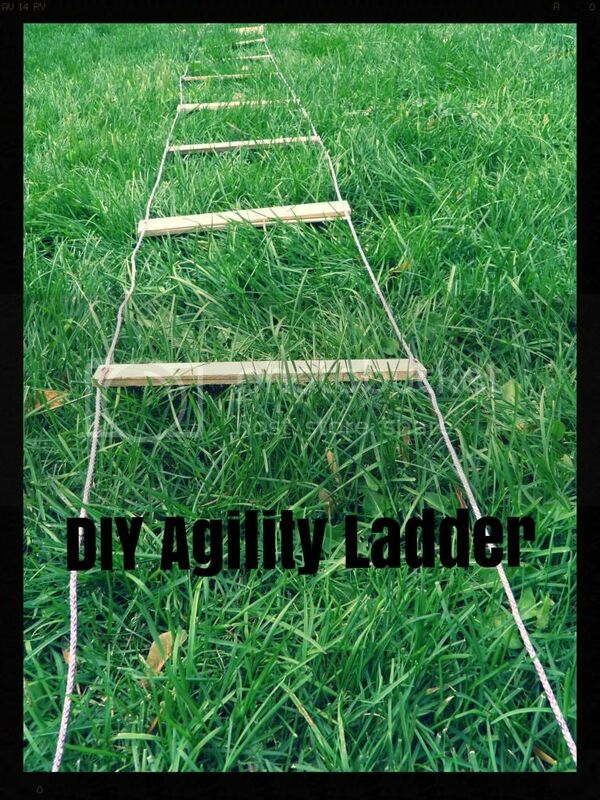 Voila, your very own agility ladder! It's easy to fold up and hang in your garage or shed. 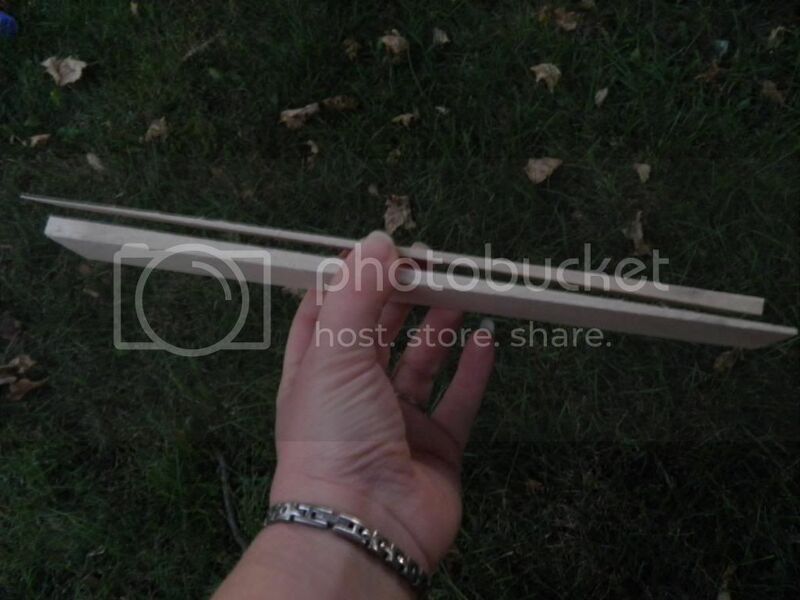 Be careful if you're doing this project outside with little kidlets around. All the neighbor kids ran over when they saw what I was doing and asked if they could "help." Um, no. And we ended up with a knocked over pile of nails in the grass that I was really trying to prevent (barefoot in the summer, ouch!). Just hand them a few shims and a little length of rope and see who can make the best godseye. 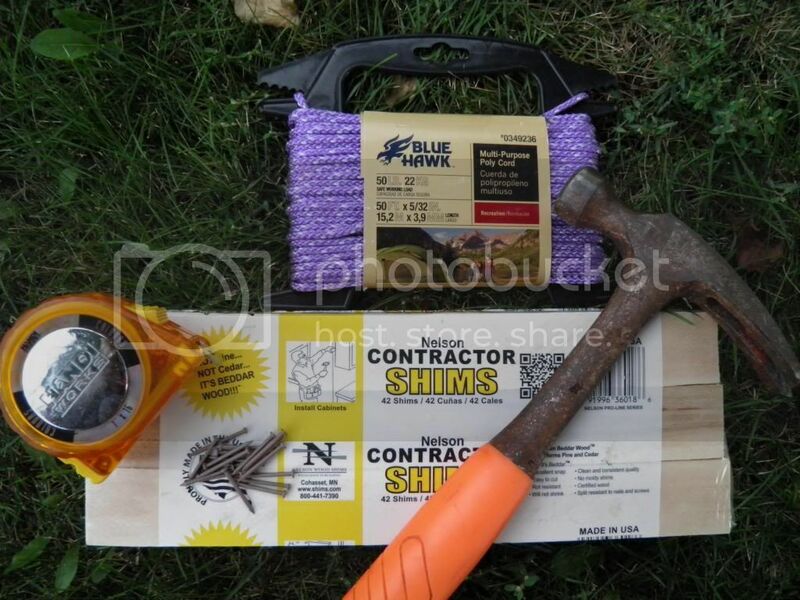 *I would actually recommend using some thin wood versus shims. Shims are what I had on-hand, but nailing into the narrow ends proved to be a bit tricky. The wood needs to be pretty thin though, so you're not tripping over it. Also, if you have feet that are much larger than mine (women's 8), the width of a shim might not work for you. You should be able to fit both feet inside with some room left over, so take your own measurements from there.